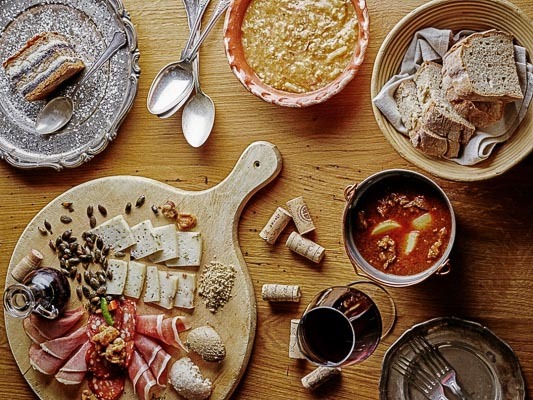 Slovenia residing on the crossroads of Slavic, Germanic and Romanic world has evolved a very diverse and rich culinary tradition which can be witnessed still today. No wonder Slovenia and Ljubljana are becomming a culinary and enological hotspots of Europe. Below we are adding suggestions for some of the best restaurants in Ljubljana for an easier decision on where to go and spoil your taste buds. 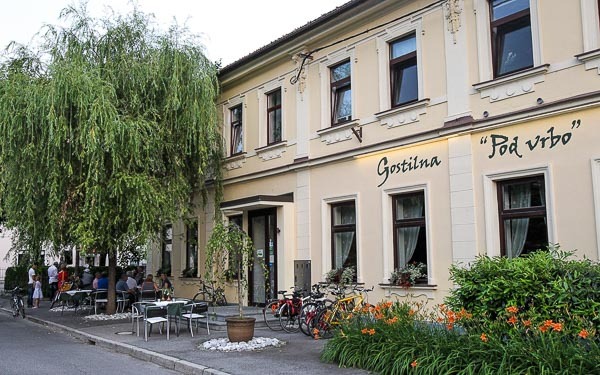 Gostilna Dela is a restaurant just a stones throw away from the open market and from the Ljubljana Castle elevator. project, which is developing a model for social integration for vulnerable groups of young people through training and employment. They offer meals and snacks in a pleasant environment at affordable prices. 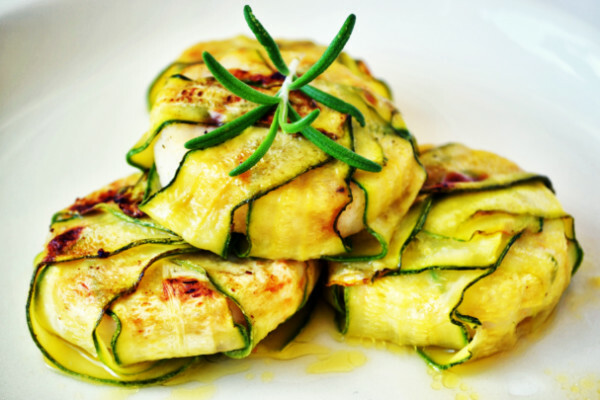 The cuisine is consistent with the principles of a healthy diet, also with vegetarians and vegans in mind. The menu changes by day. Food is fresh and made with local products. They also serve breakfasts. Open until 4 pm. 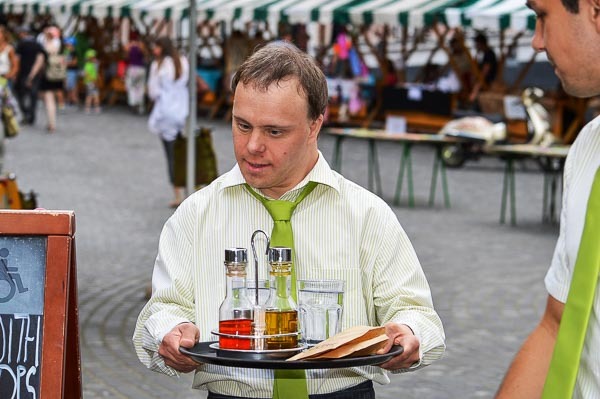 “Second Violin” is a restaurant that employs mentally handicapped people and thus involves them in a majority society. It’s hard to leave this restaurant completely indifferent. Not only for quality and tasty dishes but also because of the warmth and positive energy that the project encourages. They offer authentic local meals, fine Slovenian wine, also non-sugar dietary snack foods and gluten-free food. Not only the Second Violin contributes to social inclusion of people with intellectual disabilities, it also facilitates access to physically disabled, has toilet facilities for the disabled, hearing loop and the menu for the blind for example. Taman Organic is a modern, plant based bistro and the only one which has organic certification, which means that all the food produced on site is of organic origin, also locally produced whenever possible. It offers limited selection of delicious and fast-service lunch options until 16:30, while starting with seasonal a la carte menu afterwards. 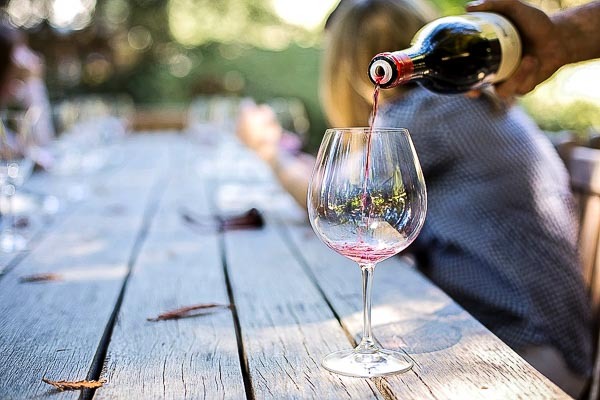 It has carefully selected drinks menu including freshly squeezed juices, organic and unique ayurvedic tea selection, kombucha, herba mate based energy drinks, premium quality spirits and carefully chosen biodynamic and organic winelist. 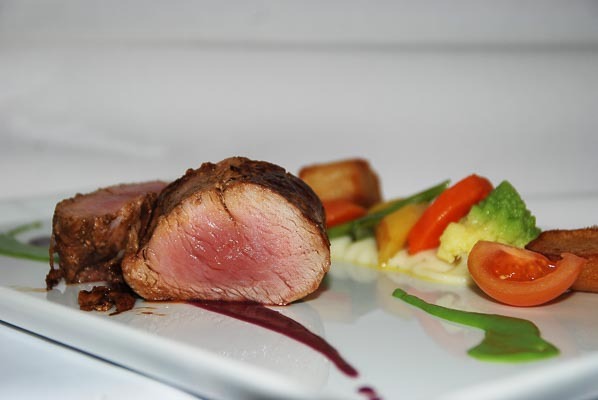 They do offer private bookings and personalized degustation menus, including wine pairing. Barbarella Juicebar is located on the most central street in Ljubljana, Slovenska cesta. 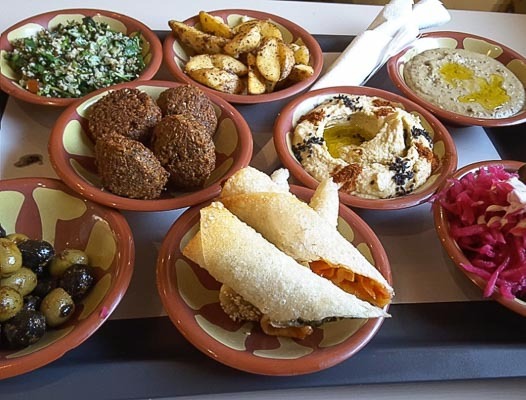 It offers delicious vegan food and drinks to enjoy in its comfortable interior, while you can also order things “to go” if you’re in a rush. There is also a summer terrace for warm days. 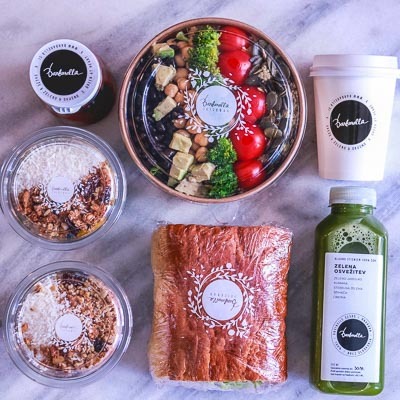 Barbarella Juicebar has daily soups and dishes, salads, quiches and a variety of cakes. They have plant-based milks for your coffee, smoothies for every taste (from green detox to peanut butter & chocolate) — you can see the waiters making them in front of you. All of this is vegan and almost everything is gluten-free. Barbarella is a proof that healthy can be rich in taste! 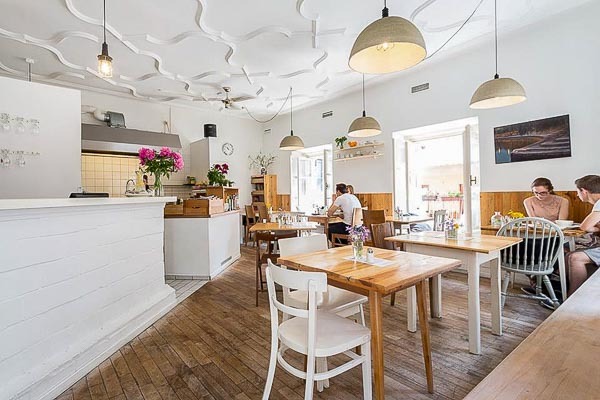 This centrally located restaurant – in immediate proximity to the city market and castle funicular – offers a variety of traditional European dishes served in the ambience of a traditional urban house from 1830. Tuck into fish, steaks, house burgers, pasta or tortillas, vegetarians will find their share too. 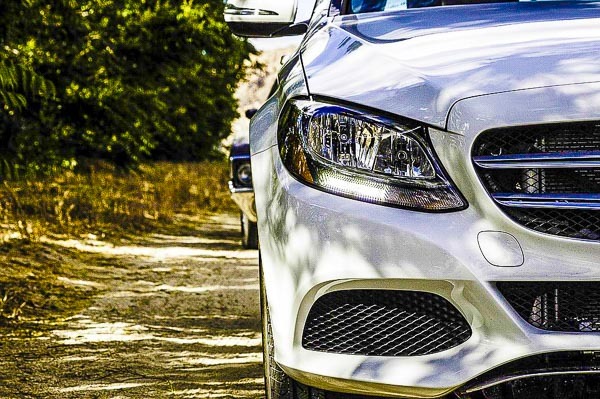 Booking in advance is advisable for groups. Can it be your romantic restaurant to surprise your loved one? Sure! Good quality for reasonable prices. Spajza is a cosy restaurant in the historical centre of Ljubljana where they take a good measure of home cooking and simplicity, mix it with the right pinch of verve and freshness, peeked under steaming Mediterranean lids and season it all with noble wine, to serve you their best in the decor of our grannies or in the summer freshness of their garden. 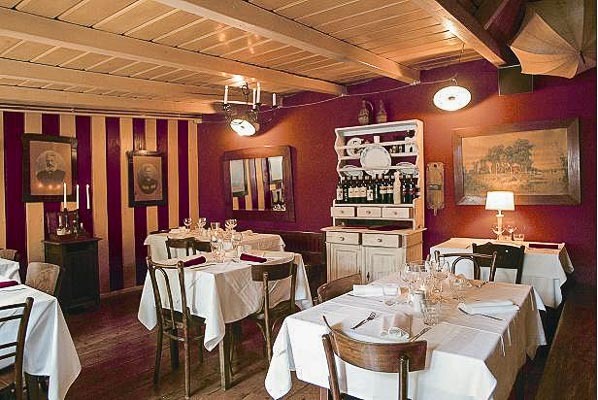 Mixture of seafood and Spajza΄s traditional choices including goat, venison, home made pastas, desserts accompanied by good Slovenian wine make this an excellent place for either a quiet romantic dinner or a small gathering. Find a taste of the the most Eastern Slovenian region Prekmurje and its tradition in the very center of the old town. The interior of the restaurant is carefully chosen with wood and natural colours prevailing, while sitting outside is also possible. Try typical Prekmurje dishes like Bograch, Tunka or homemade pork sausage with sour turnip, while for dessert the famous Gibanica is a must, though we were told that guests return for pumpkin ice cream also. They also offer special vegeterian and vegan dishes. There is a small shop adjacent where you can buy their home made pumpkin seed oil, chocolate, brandies and wines. This is a 100 year old guesthouse offering traditional meals originating from every corner of Slovenia. Dishes are a product of old traditional recipes and modern culinary approaches and consist of seasonal ingredients, what makes them healthy and tasty. 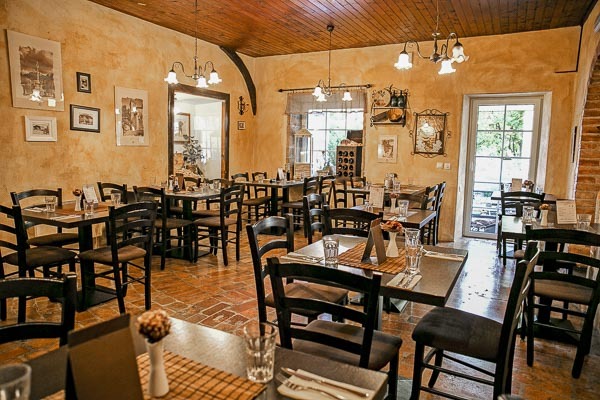 The restaurant is famous for their broths, home made gnocchi, vanison goulash, salmon or farm plate. Do not forget to ask for wine list. Since the inn is not located in the very center of Ljubljana, it offers a parking place for cars and buses, too and is appropriate for groups. It is located in the vicinity of Plecnik`s House, 15 min walk from the old town. Closed on Sundays and holidays. Situated near the river in the old town, Shambala is pleasantly hidden in between the houses and winding streets of the city. 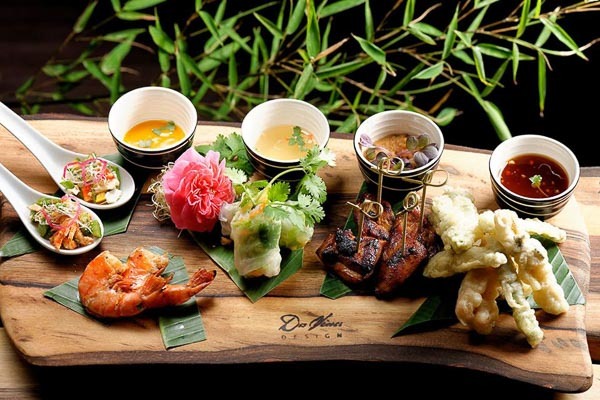 The food is a mix of Japanese, Vietnamese, Thai and Singaporean, deliciously prepared and served with tasteful flair. To wash it all down, there is a selection of local wine and Japanese whiskey. The main dining space is an atrium in between the old town houses, the walls of which are adorned with bamboo plants, combining in a pleasing mix of Asian and European aesthetics. Natural light falls through a glass ceiling. The restaurant doesn’t play music for its guests, signalling a certain air of distinguished sobriety. In fairer weather, you are encouraged to enjoy the restaurant’s summer garden. The „Ribca“ bistro is situated in the main food market. Its close proximity to the largest fish market in Slovenia, makes it an interesting location for visitors, as well as locals. Their cooperation with the fish market assures a daily offering of fresh fish, crab, squid (calamari) and fish salads. In the spring and summer time you are invited to have a meal in one of the most romantic places in town – by the river with a view of the main square. They also offer fish burgers and pizzas. 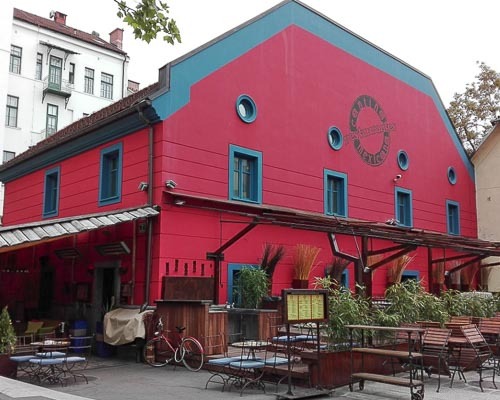 “Klobasarna” is one of the best cheap restaurants in Ljubljana. It is positioned in the heart of Ljubljana’s old town center, where you can treat yourself to an original Slovene Carniolian sausage. The Carniolian sausage is served with a fresh bagel, mustard and horseradish and you can get all this as take-away as well. 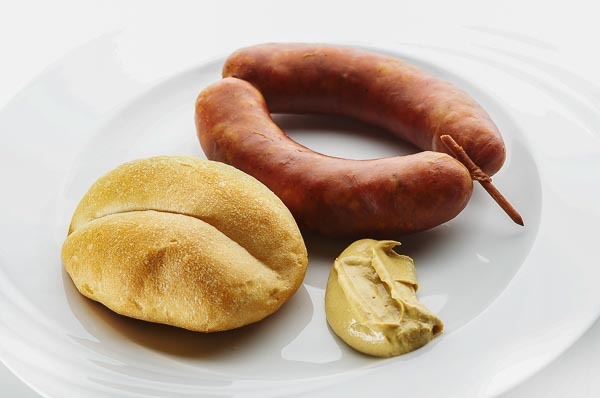 The name of the product “Carniolian sausage” represents a typical geographical definition of the Slovene ethnic territory. There is also a traditional stew or two and a rolled pastry on the menu every day. Open Monday – Saturday 10 am till 11 pm, Sunday 10 am till 3 pm. If we tell you that even an old Slovenian folk song sings about this place, then you can imagine how old it really is. It has served delicious food to Ljubljana citizens since 1776! Domestic Slovenian food is served in a traditional setting of wood, greenery and carnations. Famous Prsut for starters would be a good choice, continue with Pecenica with Sauerkraut and Zganci. 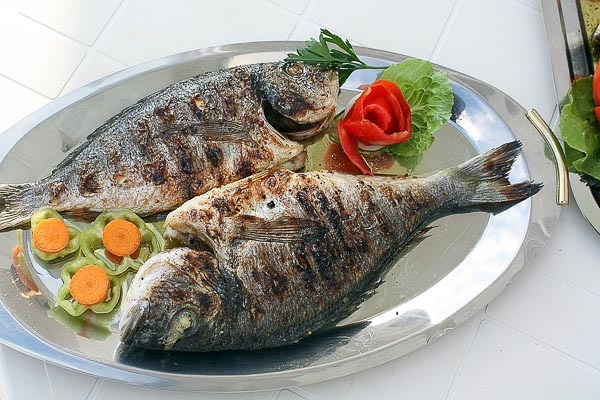 Struklji or a Farmer’s platter is a great option as well and Prekmurska Gibanica for dessert. Not ordering a glass of a first class Slovenian wine, would be a pity. As it has quite a lot of seats, it is also appropriate for bigger groups. Sestica is located in the very centre close to Slon Hotel. Pizzeria Foculus offers a wide variety of wood-fired pizzas, including gluten-free and vegan options and salads. It is one of Ljubljana’s most popular places. 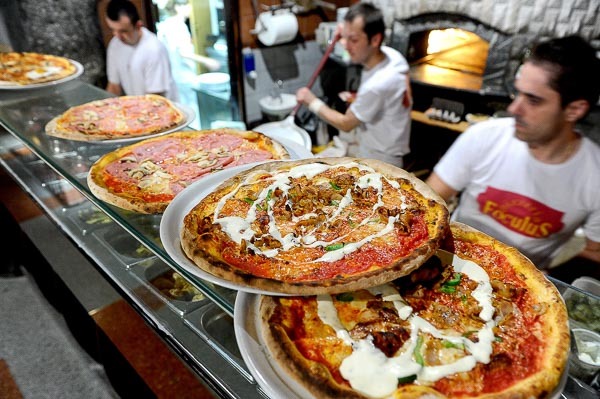 Not only do they serve pizzas made the traditional way, which gives them that delicious crust, the place itself is something worth seeing also. Pizzeria´s newly remodelled historical interior includes an inspiring hand painted arched ceiling, supported by historical pillars. Foculus is located at the edge of the old town, close to architect Plecnik’s most famous work The National University Library. They also offer delicious local beers. Open until midnight. Proclaimed itself the first Arabian fast food venue in Slovenia. They serve meat and vegetarian and vegan dishes, with lots of fresh vegetables. Try their falafel because it’s delicious. Order maxi size cause the small one will disappear quickly. You can finish with the famous oriental sweets and cardamom tea. If you’re looking for a quick, filling, inexpensive and tasty meal, give this place a try. Open daily from 10:00 to midnight. Less than 5 minutes walk from Preseren Square. This is an excellent Mexican restaurant with huge portions of food big enough for the hungriest man! Any dish such as chilli con carne or chicken salad is more than enough for any human, not to mention a big rumpsteak with hot sauce. Spicy stuff is marked on the menu, so think about your preference in advance. The terrace is a perfect place to watch strollers walk by. Cantina Mexicana is the first, and so far the only Mexican restaurant in Ljubljana, which offers its guests a barbecue table. Ideal for you to prove you are the best in grilling steaks. 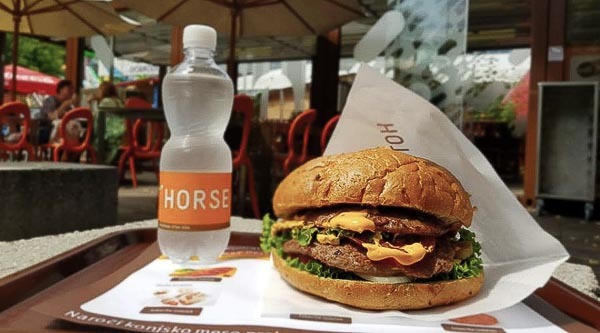 The first and the only original Horseburger in the world. Voted Ljubljana’s best fast food restaurant in 2012 by essential turist guides. A stop at Hot-Horse is a must for all first-time and returning visitors. No need to say that their food is based on horse meat which is rich in proteins and iron and has a low level of fats. On their menu you will find burgers, steaks, wraps, hot-dogs, salads and plenty of toppings by your choice. So give it a try while you are in Ljubljana. Find them in Tivoli Park or BTC shopping centre. Open every day from 9 am to 12 pm. Moysushi is an upper-mid end sushi joint conveniently located in Ljubljana’s central town square, near the historic city hall. 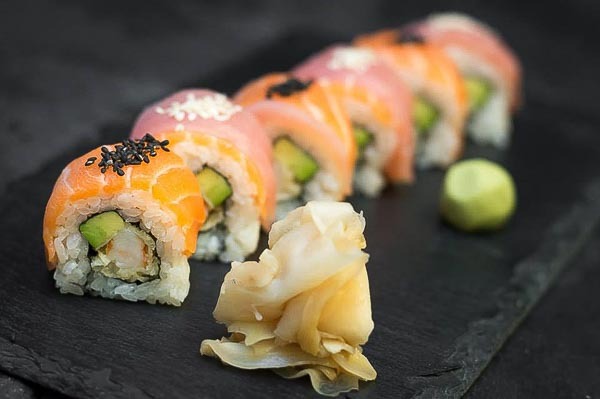 While mainly focusing on various types of sushi, they also offer a selection of other Japanese cuisine, such as the classic miso soup, tempura (a selection of vegetables and fish fried in the traditional Japanese style), as well as steak, noodles and ramen. The restaurant is at street level, and without any steps or platforms interrupting the space, offers easy access to the wheelchair-bound. The space is clean, inviting and modern in its design, which doesn’t pretend to be traditionally Japanese. In the spring and summer time, you are also able to enjoy dining in the outside area, right in the middle of the beautiful old city centre.